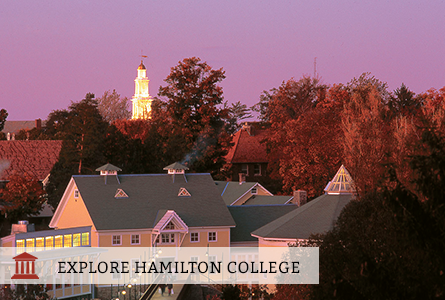 Hamilton will start accepting applications during the 2017 National College Match. Hamilton's first class of QuestBridge Scholars will be the class of 2022. The QuestBridge Scholars Network at Hamilton College will be marking its first year in the 2018-2019 academic year. We at QuestBridge are excited to help our first class of QuestBridge Scholars at Hamilton build a strong community, define their goals, and partner with helpful resources on campus. In early 2018, we will invite admitted QuestBridge students from Hamilton to apply to be the first Quest Liaison for the Hamilton QSN Chapter. All scholars will begin hearing from their Liaison during their transition to college, which is a great time to get connected and involved in chapter leadership. All QuestBridge Finalists who were admitted in previous years are welcome to join the QuestBridge Scholars Network in 2018.